There is something about a coffee shop that captivates you. Whether it be the precision of the brewing process, the burst of aromas or the mix of customers that come through the door, you’re eager to take the plunge and learn how to start a coffee shop. 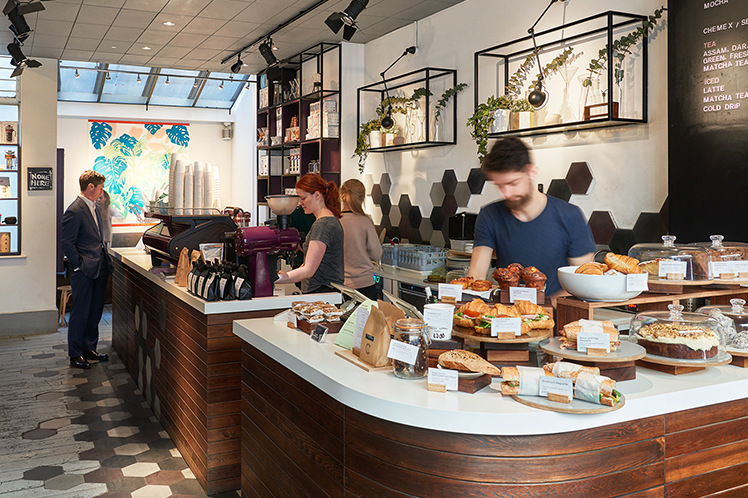 coffee shop requires more than a few talented baristas making latte art in a trendy location. Here’s everything you need to know about how to open a coffee shop. Executive summary. Your executive summary should provide a topline synopsis of your business (location, size, company ownership), as well as your coffee shop’s objectives (or mission statement) and how you plan to meet them. You may also want to include an overview of startup costs and forecasted revenue growth (which is explained later in the business plan). Market analysis. The coffee market is continuously evolving due to a shift in consumer trends. 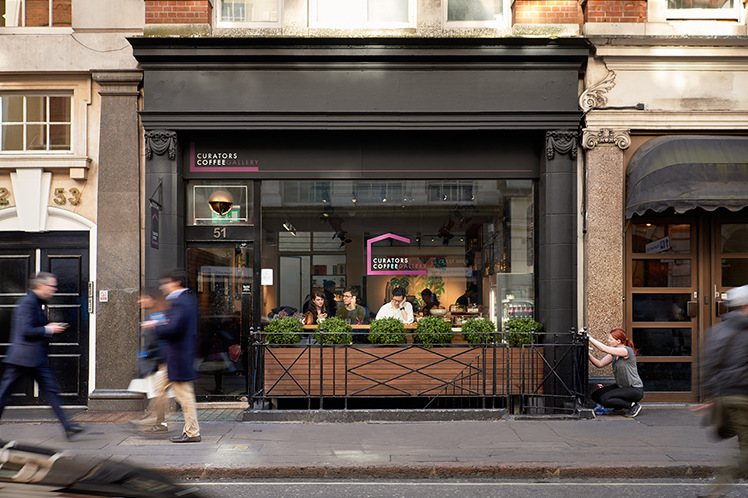 According to the British Coffee Association, 80% of Brits visit a coffee shop once a week, with 16% doing so every day. 16% of the market also counts as Millennial (age 16 – 34) and their tastes seem to favour ground coffee and signature blends as found in coffee pods. Not only is the coffee game changing, but so are food and retail spaces. This means you need to have a sound understanding of the market. Your market analysis should uncover similar trends and data that you can use to determine what concept you bring to market. Include a description of the market segmentation and your target market, then highlight your target market’s buying patterns, factors that encourage or limit coffee consumption and any gaps in the industry that your coffee shop can capitalise on. Competitive analysis. Your competitive analysis should hone in on your local environment and highlight any current competitors as well as potential competitors who might enter the market. Determine the strengths and weaknesses of your competitors to uncover opportunities that give your coffee shop a competitive advantage. Sales strategy. Use insights from your market and competitive analysis to outline a strategy for promoting your coffee products and your business as a whole. This may include traditional sales techniques as well as marketing tactics. Then focus on revenue forecasting from your sales. Most forecasting should be done three years out so you can get a clear picture of your break-even point and profit potential. This can help you effectively budget when starting your coffee shop. Management plan. 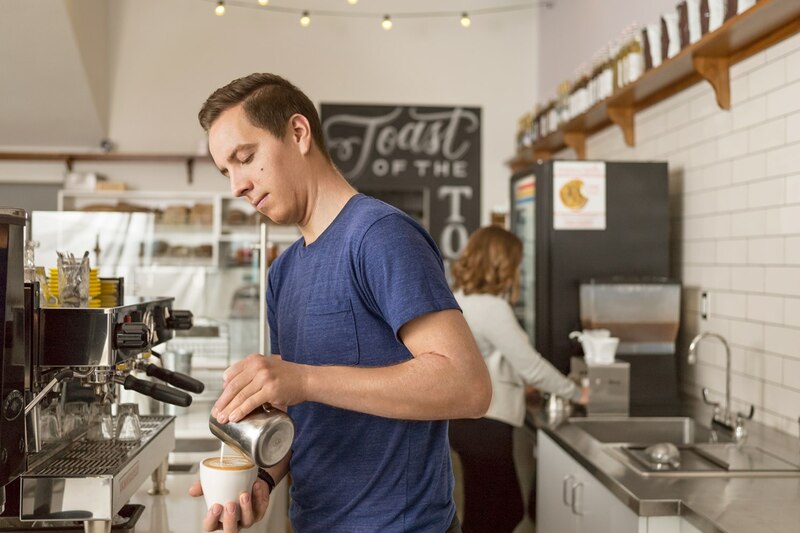 Managing your coffee shop is key to growing your business, so take the time to create a management summary, which includes a layout of your management team, personnel responsibilities and employee costs (wages, payroll, training, etc.). Financial considerations. Now is the time to think about the cash flow at your coffee shop. You need to define your costs and how to finance your business in order to determine the average profits for your coffee shop. Then compute your projected cash flow (which was done in your sales and operations planning) to determine your break-even point. Include your projected profit and loss over a three-year time span to show the coffee shop’s net profitability as the store becomes established in the local market. After your coffee shop business plan is in order, it’s time to consider the legal parameters of your business. The legal requirements of your particular business depend on where you operate, and aside from registering your business, there are various licenses you need to research before you start a coffee shop. These can include the obvious like a license to prepare food for public consumption and health and safety compliance, to the more surprising, like playing background music or placing chairs on the pavement outside your shop. Physical space. The location of your coffee shop is absolutely crucial. While the traditional coffee shop needed plenty room for plush sofas and even space to sit outside, the modern consumer is more fussed with the coffee than the couches, so consider a coffee kiosk, a coffee truck or a coffee shop that emulates the Italian style and only has a bar for people to perch at if you can’t afford expansive spaces. Once you’ve narrowed down the style of your space, consider the cost factors of the space include the building deposit, monthly rent, utilities and square footage of your store. These are determined by the popularity of the location and the foot traffic potential. Interior design. The design of a coffee shop says a lot of about the store itself and it can cost you a pretty penny without some strategic planning. Revisit your store’s vision and the environment you’re trying to cultivate before you start to buy anything; think about what you really want to spend money on. Research and purchase coffee mugs, seating, artwork and additional interior decor based on your desired style. Equipment. The selection of coffee shop equipment can be overwhelming — there are a lot of options and they can cost a lot of money. Review the best coffee shop equipment for your store and figure out what equipment you absolutely must have to ensure a smooth opening. Your menu. How many products you offer is another cost driver when you open a coffee shop. You might want to stick to the basics, you might want a small selection of gourmet coffee or you might want gourmet coffee and yummy treats. Our coffee guide is a great place to start. Use your market and competitive analysis to decide which products are worth putting on your menu. You want to follow industry trends, but make sure you are providing products that your customers actually want. Labor. You might think that paying baristas and servers at your coffee shop is simple — just pay them an hourly wage. But there’s a lot more that goes into the cost of labour. Aside from wages, you have to think about training costs, benefits, insurance and technology that can help you with things like employee management and payroll. Marketing. When you first open a coffee shop, there are promotional efforts that should be included in your startup costs. These may include the cost of a soft opening that showcases your coffee and creates hype in the community or the cost of a social media campaign to reach your new customers. The optimal coffee marketing strategy — and how much it costs — depends upon on your target customers, so find out where they obtain information and create campaigns that make sense for them. When you’re looking for the optimal location for your coffee shop, cost might be your biggest driver. Cheaper rent and lowered utilities might sound great when you are first starting a coffee shop, but choosing a location solely on price can be detrimental in the long term. 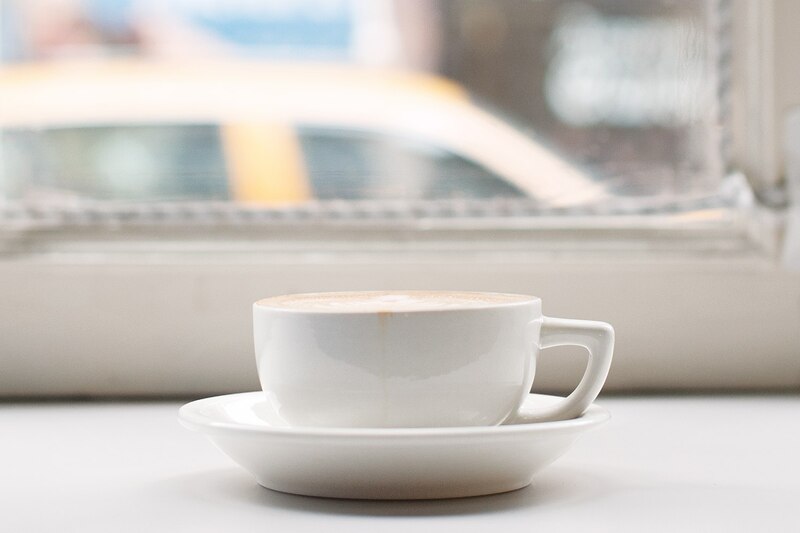 The location of your coffee shop can make or break your business, and there are specific factors that determine the best location for your coffee shop. Aside from costs, consider foot traffic, your target market and competitors, among other things. What types of businesses have operated here in the past? Some commercial landlords prohibit renovations of any kind, so if the space hasn’t operated as a coffee shop in the past, it may not be permitted. What are the restrictions on remodeling? What is the minimum lease requirement? Landlords have different duration requirements when it comes to leasing commercial space – some, a year, some longer. Figure out which one is best for you (for example, when you’re first starting out, a long lease could be risky). While it sounds tedious, an optimal coffee shop location is worth taking the time to ask lots of questions. Guests expect a swift, personal experience when they walk through your doors. Long lines due to a poor payment system can taint a customer’s perception and even result in the loss of business. So, when you start a coffee shop, it’s important to invest in a robust POS system. 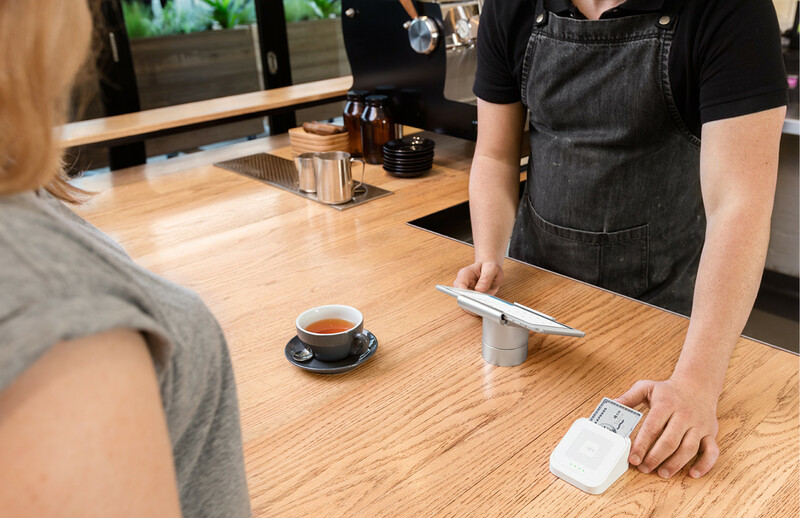 Your point-of-sale system should be integrated with a payment processor and you should make sure that it can take any form of payment — chip & PIN, contactless or mobile payments (like Apple Pay). A system that is aesthetically pleasing and simple. Coffee shops tend to be quaint, with the counter being the focal point to a customer’s eyes. Cords and bulky systems can turn off customers, so look for a POS system that essentially blends into your decor. A built-in tipping system that’s easy for customers to use. The best way to increase tips at your store is to provide exceptional customer service. With tipping built into your POS, customers are presented with a screen that suggests a tip amount, which allows them to easily add a tip in just one click. Inventory management that allows you to set up your menu on your POS and track products being sold and materials being used. Look for software thatlets you set stock alerts when inventory gets low as a way to effectively manage your inventory. Data capabilities to collect insight on what’s being sold. With data analytics integrated into your POS, you can see what menu items are popular and gain sales insights that help you improve your business strategy. The feeling of opening your coffee shop is truly rewarding, but now the daily grind begins. When you’re figuring out how to run your coffee shop, you might prioritise managing employees and optimising the ordering process. But one of your most important day-to-day jobs is to make sure that customers come through your doors again, and again, and again (and that they don’t go to your competitor down the street). So, developing a customer retention strategy is crucial. To stay connected with your customers and develop a relationship with them, you should invest in a customer engagement tool (or customer relationship manager) that allows you to reach your customers and understand their behaviour. Feedback software that is integrated into your POS system so customers can tell you about their experience at your shop is an ideal solution. Feedback software provides one-on-one communication with your customer, so you can get a direct response about a particular service. You can use positive feedback to motivate employees and constructive criticism to tweak business processes.